The sequel to Man of Steel movie, which will show us the confrontation of Batman and Superman, has got the new actress. Gal Gadot will appear in the upcoming superhero film as the most powerful and interesting female in the DC Comics universe - Wonder Woman. Gal - beautiful model and Miss Israel - previously took part in several Fast & Furious movies. This time she will be a part of a new blockbuster, which hasn't got the official name yet. However, we know that Ben Affleck as Batman and Henry Cavill as Superman have already received the lead roles in the future movie. Together with these three superheroes Flash is rumored to appear in the action. Wonder Woman appears on the pages of comic books since 1941 and is supposed to be one of the most significant heroes in this genre. She is an Amazon Princess and her real name is Diana. Wonder Woman is a very good warrior and has special superpowers. 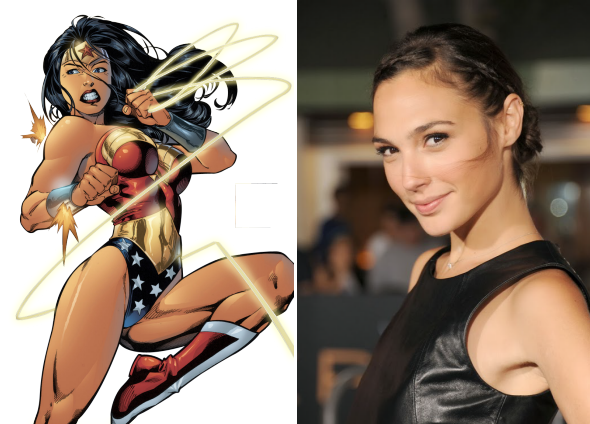 Also she uses fantastic arsenal of tools, among which is the Lasso of Truth. Meanwhile, the seventh part of Fast & Furious movie was delayed because of the Paul Walker's unexpected death. We would like to remind you that this actor played a role of a lead series' character and took part almost in all Fast & Furious movies.